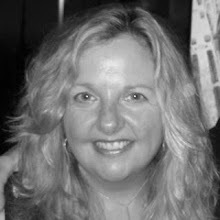 With my dog and new puppy, both blue roan English Cocker Spaniels, I took a ride in the car out to Cor-J’s Seafood which is across from the US Coast Guard Station at the Ponquogue Bridge in Hampton Bays hoping to find some fluke or flounder. I was in luck. I picked up some HUGE local fluke fillets (we call fluke this size “doormats”) and, for fun, I also bought 3 large local conch shells even though I wasn’t really sure what I was going to do with the conch (they're in the fridge now macerating in lemon and orange juice and Tabasco to make a conch cerviche). The cabbage, radishes and apple were from Chubby Bunny Farm (my CSA), I bought the baby carrots from Monkshood Garden (at the Columbia University Farmers Market), the cilantro was very local with "no food print" -- picked from my yard in Southampton, and local pantry items included A Taste of the North Fork brand white wine vinegar, and Bees Needs honey from East Hampton. All of the other items are imported condiments and spices from far away and exotic lands most likely. Cut the cabbage into 2 x4 inch pieces that can fit into the mouth of the food processor discarding the thick core of the cabbage and any wilted leaves. Fit the food processor with the slicing blade and shred the cabbage. 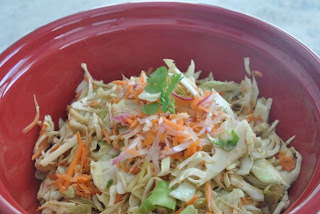 Transfer shredded cabbage to a large mixing bowl. Change the blade to the grater blade to grate carrots and radishes and transfer them to the bowl with the cabbage. Core the apple and shred it using the grater blade and transfer the shredded apple to a separate bowl. Add lemon juice to the shredded apple and stir (this will keep the apple from turning brown). Let apple sit for several minutes before adding to the cabbage mixture. Rinse the food processor bowl and dry. Add all of the dressing ingredients and blend until smooth. The dressing should be relatively thin. Toss vegetables and salad dressing and let marinate for several hours in a covered bowl in the refrigerator. Set up three plates. One with beaten eggs. The second with flour and Creole seasoning. And, the third one is a clean plate. Dip fluke into the egg and cover fluke. Allow excess egg to drip off of the fish. 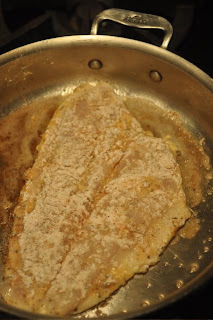 Place egged fluke into the flour and Creole seasoning mix and cover the fish with flour. Move to a clean plate. Repeat. In a large skillet, melt one tablespoon of butter over medium high heat. When sizzling, add the fish and cook until the edges begin to turn white. Using a spatula pick up the fish and turn over. Before placing fish back on the pan, melt another tablespoon of butter. Cook until just white and flaky. Do not over cook. Repeat. When all of the fish is cooked, return to pan to reheat before serving. Can be served alone, with rice or French bread. Cor-J is, hands down, one of the top fishmongers on the East End and just a stone’s throw from the commercial docks on Shinecock Bay (I can see Cor-J’s from my house, which is diagonally across the bay, but it’s not exactly close by car). Friendly staff, fresh, fresh, fresh. "The real deal. No wonder, all the restaurants buy from Cor-Js."